Featuring Stéphane Lissner, Benjamin Millepied and Mikhail Timoshenko. Distributed by Film Movement. 110 minutes. Not Rated. I care about the arts – music, dance, theater, film. I love to watch talented people giving of themselves to the world with passion and emotion. With two siblings involved in arts production, I care and have interest in the production process. The Paris Opera, with a 110-minute run time, felt like an overlong promo for a Paris Opera season that has already passed. Stéphane Lissner was appointed director of The Paris Opera in 2014. This documentary covers 2015, as he prepares for his first season, focusing in on few of the more dramatic moments that required his leadership during the year. Both Mr. Lissner and the film are at their most interesting when the focus turns from the business of opera and instead captures his human interactions – advocating and negotiating on behalf of the opera chorus during the production of the daunting “Moses und Aron” by Arnold Schönberg. It is also fascinating when he is addressing the audience at the Opera’s first production, just a few days after the Bataclan Terrorist Attack, and when he is filmed quietly, unobtrusively, and proudly watching his artists at work. He is at his least interesting when he and the team focus in on minute details of the day to day business. The camera spends far too much time on this, trying to give a sense of drama that we never really care about. It was almost as if by contrast, they are trying to show they are just regular business people with regular business issues, despite the elegant and glamorous work that they do. Parisians are known for going on strike and it felt like the Opera management was always dealing with an impending strike situation – but like snow in Buffalo, it plays like just another day in Paris. There seemed to be some drama surrounding dance director Benjamin Millepied, but really, that never panned out to more than mere rumors and the storyline passed. A more interesting storyline from the Opera’s year was the hiring of 21-year-old Russian bass-baritone, Mikhail Timoshenko. The documentary intermittently follows his story-from the selection notification to one of his first solo performances as he begins his two-year stint with the Paris Opera. The selection process and post-selection discussion is a highlight of this film. It demonstrates the truly global nature of the arts. Also, it shows how artists are not only required to be super talented in their art (for Mikhail, singing), but also must be culturally competent humans who are able to work with people of all nationalities and cultures with their common love of art. For a 21-year-old born and raised in a small village in Russia, moving to Paris to pursue his art is a dream come true. We get to be a fly on the wall and watch him “fan” over some of the opera’s more famous bass-baritones, like Bryn Terfel. It was fascinating to watch how language mastery becomes so very important. At the time of selection, he was already fluent in Russian and German, spoke some English. He was advised that he would need to learn and gain fluency in French as creative instruction and direction would be given primarily in French. 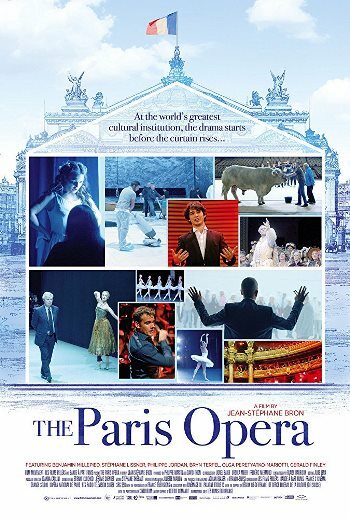 Overall, The Paris Opera is a visually stimulating, beautiful film on the surface – a world of ballerinas, symphonic musicians, and opera singers housed in historic locations like the Palais Garnier. I would expect nothing less than a film about beauty and passion. Yet somehow, through the editing choices, it is almost like there is a downplaying of the passion to show the world in a “business as usual” way. It is hard to care about an organization catering to Paris’ most very elite – a world of privilege where they wrestle with the idea of sacrificing tickets at 150 Euro/seat. The movie makes a point to show the reach-out programs like the Youth String program and demonstrate that the cost of the art includes the drama of finding a fill in lead with two days’ notice for a sick call because the show must go on, but in the end, it really feels like a pretty diversion for people looking to fill some time with good background music. Tags: Benjamin Millepied, Bonnie Paul, Bryn Terfel, Jean-Stephane Bron, Mikhail Timoshenko, movie review, opera, Paris, PopEntertainment.com, Stéphane Lissner, The Bataclan, The Paris Opera. Bookmark the permalink.